The Apple iPad - why no Wi-Fi? Hundreds of new owners of Apple's iPad have been reporting problems with the way it connects to Wi-Fi networks. Users are complaining of weak signal and the iPad not automatically connecting to routers when coming back into range. 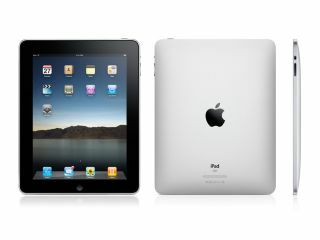 "Under certain conditions, iPad may not automatically rejoin a known Wi-Fi network after restart or waking from sleep. "This can occur with some third-party Wi-Fi routers that are dual-band capable when using the same network name for each network or using different security settings for each network"
According to Apple, the solution is to make sure the networks are named correctly (if you're using a b/g/n capable router, for instance) or reset your network settings. However, this doesn't help if you're connecting to a public router, where settings cannot be changed. A weird fix for the lack of auto-connect has appeared on the Apple forums: apparently if you have the brightness set down to minimum and the iPad goes to sleep, the Wi-Fi does not auto-connect – but turn it up and problem is resolved. This hints at a bug in the power management of the iPad – with the unit jumping into battery-saving state when the screen is dimmed right down. But that doesn't resolve the weak signal issues, which could be a headache for Apple should it be proved to be a hardware issue.